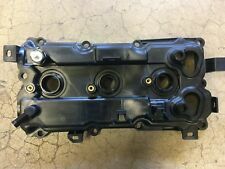 PART No : CNVG-D1401 Application 07 - 09 NISSAN 350Z 3.5L DOHC V6 Component 1 ENGINE VALVE COVER (PASSENGER) 1 VALVE COVER GASKET Note Fits Right Side / Passenger / RH Comes with Spark Plug Seals. 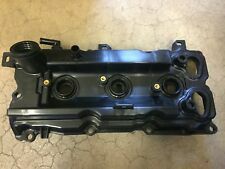 PART NUMBER: CNVG-D1402 Fits 07 - 09 NISSAN 350Z 3.5L(3498cc) DOHC V6 BRAND NEW ENGINE VALVE COVER W/ GASKET LEFT SIDE Application 07 - 09 NISSAN 350Z 3.5L DOHC V6 Package includes ---1 ENGINE VALVE COVER (DRIVER) ---1 VALVE COVER GASKET. Model: FX35. FX35 09-10 3.5L (VIN A, 4th digit, VQ35HR, V6), 4x2 (RWD). FX35 11 3.5L (VIN A, 4th digit, VQ35HR, V6), 4x2 (RWD), thru 10/10. Make: INFINITI. Year: 2010. We do a cylinder leak down test on all engines before disassembly and straight edge after removal. 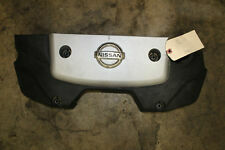 PART NUMBER: CNVG-D1402 ---FITS 07 - 09 NISSAN 350Z ---3.5L(3498CC) DOHC V6 ---BRAND NEW ENGINE VALVE COVER W/ GASKET LEFT SIDE APPLICATIONS ---07 - 09 NISSAN 350Z 3.5L DOHC V6 PACKAGE INCLUDES ---1 ENGINE VALVE COVER (DRIVER) ---1 VALVE COVER GASKET SPECIAL FEATURES ---FITS LEFT SIDE / DRIVER / LH ---COMES WITH SPARK PLUG SEALS. PART NUMBER: CNVG-D1401 ---FITS 07 - 09 NISSAN 350Z ---3.5L(3498CC) DOHC V6 ---BRAND NEW ENGINE VALVE COVER W/ GASKET RIGHT SIDE APPLICATIONS ---07 - 09 NISSAN 350Z 3.5L DOHC V6 PACKAGE INCLUDES ---1 ENGINE VALVE COVER (PASSENGER) ---1 VALVE COVER GASKET SPECIAL FEATURES ---FITS RIGHT SIDE / PASSENGER / RH ---COMES WITH SPARK PLUG SEALS. Engine Code: VQ35DE VQ35HR. Valve Cover Gasket Set. Full Gasket Set. Head Gasket Set. Lower Gasket Set. Rush My Parts will not be responsible for any labor, towing, fluids, Freon, filters, lodging, and car or truck rental. 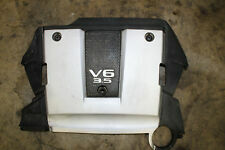 Engine Valve Cover Gasket Set. This no-exceptions policy ensures the quality of the components you receive. Warranty: 12 MO.